I live in Bremerton (I can even walk to the Sev in question. It is a bit of hike though) but when it comes to beer I am really more of a quality Porter and Stout girl. Neither of which is sold at the Sev. My guess…PBR or Coors Light for the unwashed masses. If only Norm Dicks drank a beer at the Eagles or the Elks vs a 50 year old scotch from the military lobbyists. What a wonderful world that could be. I work for a government agency so instead of smoking a joint on Friday night, like most Bremertonians its a distilled beverage when I choose to partake. I have asked Dr. Dixon for a prescription for a tank of nitrous, so far he has refused. I really miss Andy. And I didn’t get the White Castle reference at all. What did I miss? Don’t worry Kathryn, you can come over to my house for Movie Night and in a few hours you could be totally up to speed on the Pop Culture references Steven has made. We can even hit the Sev for a couple of Big Gulps and some snacks to make it a total Bremerton experience. Meth caucus is probably more accurate. AB wrote a funny opinion piece for that unnamed newspaper. Thanks Karen. AB is one of a kind. I posted a comment on the article at the un-named newspaper that we missed him over here and were cross contaminating this blog with discussions about him and links to his stories published by the un-named competitor. Elliott, did you mean to say “imbibe”? I think abide is something you do with the Lord. I guess they both fit. Bremerton’s ‘intoxicant of choice’ used to be catching a Saturday movie at the Roxy, followed by a milkshake and hamburger at Olberg’s Drug Store. Today, the intoxicant is ignoring the bars and strolling through the new downtown waterfront park and seeing your ferry come in and go out without you on board. It was a take-off on a line from one of my favorite movies, “The Big Lebowski”. 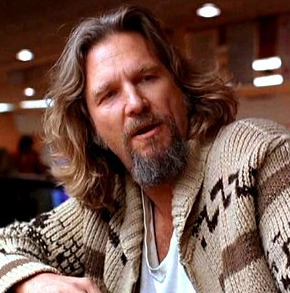 In the movie, the line was “the dude abides”. I’m not familiar with that film but the Coen brothers new film, ‘A Serious Man’, opens today at the historic Orchard Theater. It is partly autobiographical about life in academia and partly based on the story of Job. It has gotten some rave reviews. It’s very cool that Port Orchard has a theater that features offbeat and critically acclaimed independent films in a timely manner. 4 of them at once. We are lucky. I’m grateful. Happy Thanksgiving. Has the PO theater shown ‘Das Boot’ or the ‘Burke and Wills Expedition’ documentary? We’ve seen both in Seattle and would happily travel the shorter distance to PO to see them again. Kahlen offered a free screening of the documentary, Coal Country, for me (as part of the Sierra Club’s efforts to end mountaintop removal coal mining) two weekends ago. He’s great about supporting local charities and organizations. I, too, love the Historic Orchard Theater. Elliott, your favorite movie has become a field of study at some universities. Mary, yes it’s a great little theater. We had to drive to the Lynwood on BI or the Grand in Tacoma to see the movies we wanted to see before they reopened the Historic Orchard Theater. It has a larger selection, too. “The Hurt Locker” was my favorite of the year. It’s a Golden Globe nominee for best picture.